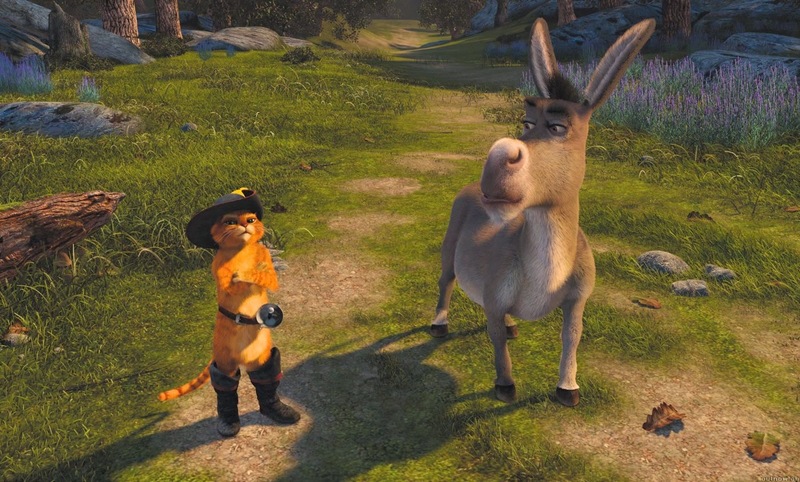 Making a sequel to Shrek was both a complete no-brainer and a cause for great concern. 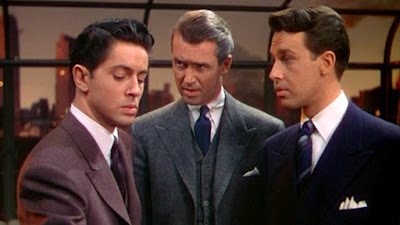 The first film was a huge hit, taking more than eight times its budget at the box office and winning over critics and audiences alike with its intelligent storytelling and witty script. But with the continued success of PIXAR, first with Monsters, Inc. and then Finding Nemo, you would have been within your rights to doubt that any sequel could compete. 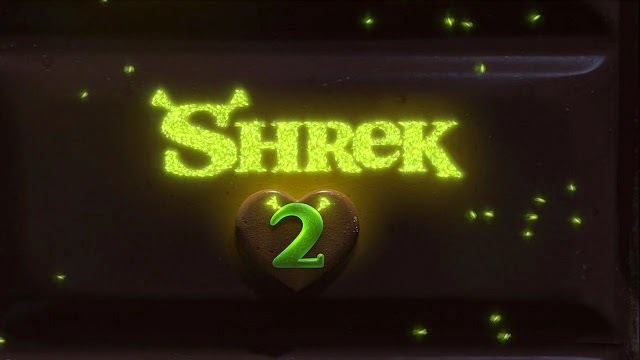 Fortunately, Shrek 2 is a great second outing, thanks in part to the continued presence of Andrew Adamson behind the camera, as a co-writer now as well as co-director. The film may not be quite as edgy as its predecessor, perhaps due to Dreamworks head honcho Jeffrey Katzenberg wanting to play it safe to secure further outings. 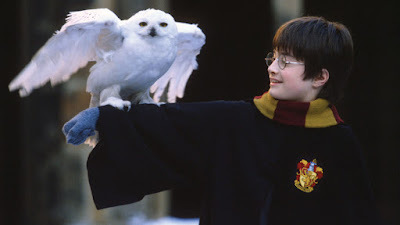 But the film is every bit as funny as the first one, if not slightly moreso, and continues to develop and deepen its unique fairytale world. 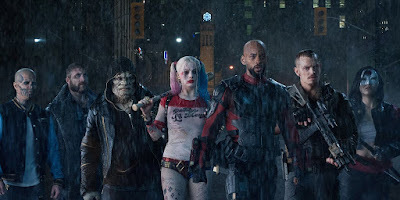 Making a sequel to any film can go one of two ways, depending on the attitude of the people behind it and the potential present in the characters. 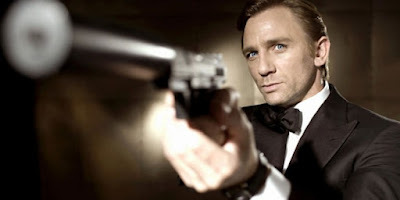 On the one hand, the film can repeat all the basic rhythms of the first film, either with the main character being replaced (so that the journey appears to be new) or by the stakes being raised (so that it feels like the action is more significant). 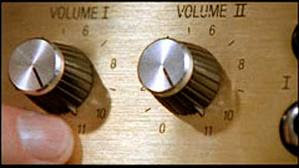 Occasionally this approach works wonders - as on Evil Dead 2 - but often it results in tired, formulaic offerings, such as the many straight-to-video sequels produced by Disney. On the other hand, the film can attempt to tell a new story, with the characters undergoing a new challenge and more characteristics of their universe being revealed. This approach is harder to get right, but when things come together the results regularly outclass their predecessors. The Empire Strikes Back, Mad Max 2: The Road Warrior and The Rescuers Down Under are all examples of this approach working well - and now we can add Shrek 2 to that list. 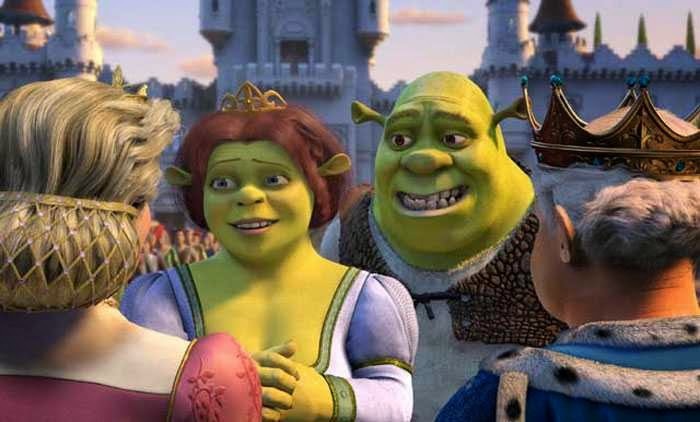 The basic principle that operates in Shrek 2 is the same one that operated in Shrek: taking familiar aspects of the fairy tale genre, and turning them on their heads with plenty of humour. But rather than simply create Lord Farquaad Mark II, the obstacles facing Shrek are different and perhaps more nuanced. 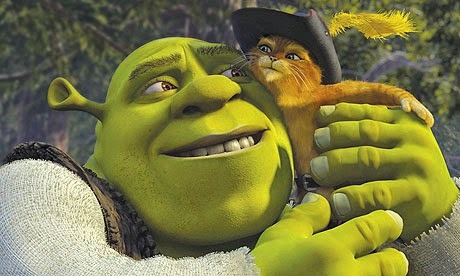 Not only that, but Shrek is a slightly different person (or ogre), having married Fiona at the end of the first film. Both of the main villains are as entertainingly subversive as Farquaad, or any characters from the first film. 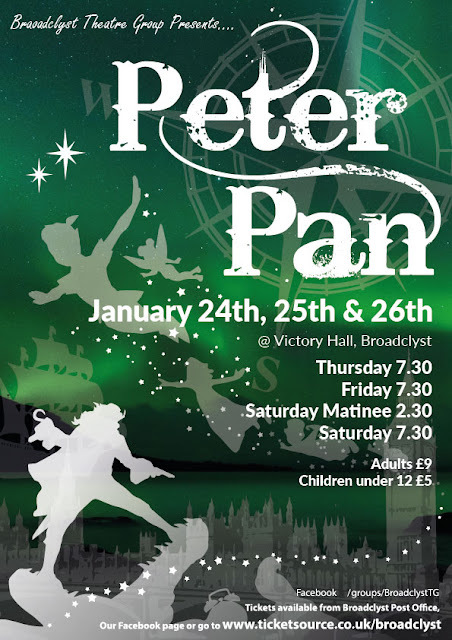 The Fairy Godmother (played brillaintly by Jennifer Saunders) is not a benevolent aid to our heroes, but a scheming, manipulative, power-hungry despot wanting to rule the kingdom through her son (not unlike Livia in I, Claudius). Magic is not the universal force for good that it is in Disney's Cinderella; the Fairy Godmother is more like her Mafia namesake, granting favours in return for power and influence. 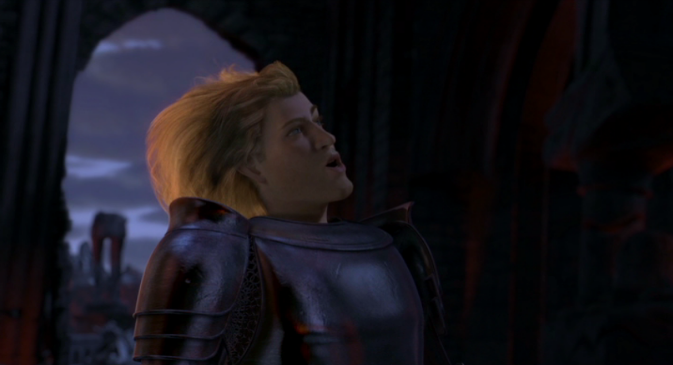 As for Prince Charming, he anything but lips up to his name. While many of his Disney counterparts are painted as (occasionally bland) ideals of masculinity, Charming is vain, self-centred, effeminate and a total Mummy's boy. Rupert Everett's clipped yet world-weary delivery perfectly conveys the frustration of the character, whose ego and sense of entitlement take a severe blow over the running time. 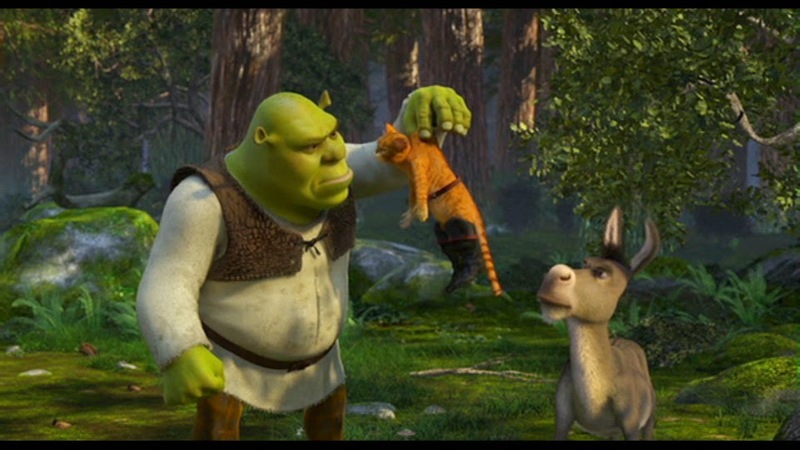 As far as the story of Shrek 2 goes, it's a natural continuation of the first film in terms of theme and plot. 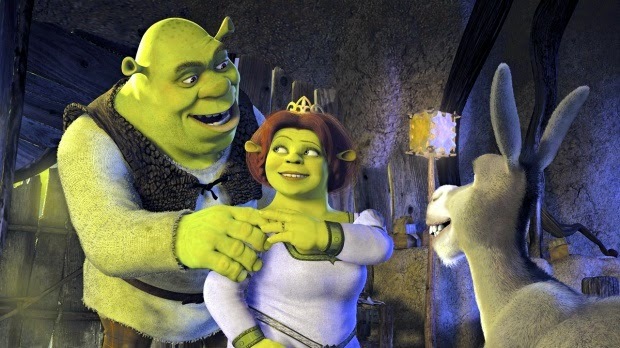 Beneath all its fairy tale trappings and pop culture references, Shrek is a film about inner beauty, the hard work that goes into relationships, and why the rules of a given world aren't always fair. Bringing Fiona's parents into the mix is a logical decision, adding a new obstacle or source of prejudice with the twist of wanting acceptance from said source for the sake of those one loves. Disney films often get accused of presenting a shallow view of what constitutes beauty; in The Little Mermaid, for instance, the female lead signs away her most distinctive features just so she can get a husband. Shrek 2 does the opposite, using a radical physical transformation to show how little such a transformation changes, and how little such a change matters. The filmakers deserve enormous credit for following through with this idea, and it resonates really strongly right up to the end. It's arguable that because Shrek 2 has a more tongue-in-cheek, parodic sensibility, it can get away with such a heartwarming message purely by virtue of not looking or sounding like a Disney film. In reality, it earns the right to do this by developing the characters we love in a genuine and convincing way. Fiona has become so comfortable in her ogre self that it makes sense for her to scream when she first sees her human face in the mirror. 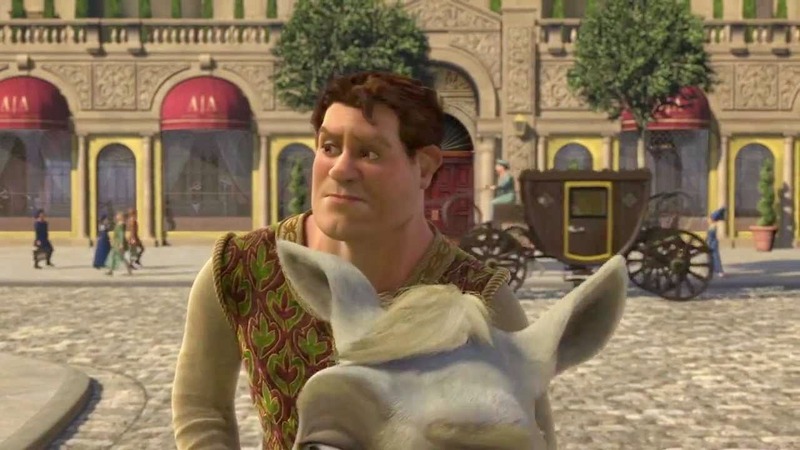 Likewise, Shrek may still be bad-tempered and cantankerous, but he's more noble in the causes for which he fights, and a little more cunning in the fights that he chooses to pick. What this means is that the increased amount of reference humour in Shrek 2 doesn't jar like it does in later Dreamworks efforts. There are some cracking reference gags here, whether it's Prince Charming's slow-motion hair flick (Heartbreakers), the wire rescue of our main characters (Mission: Impossible) or Donkey fearing that he will melt when it rains (The Wizard of Oz). And that's not to mention all the pops at brands like Starbucks, Baskin Robbins and Versace. But like the best work of Aardman, these touches or little sight gags take a back seat to the plot, and the film still works whatever age or however culture-literate you may be. 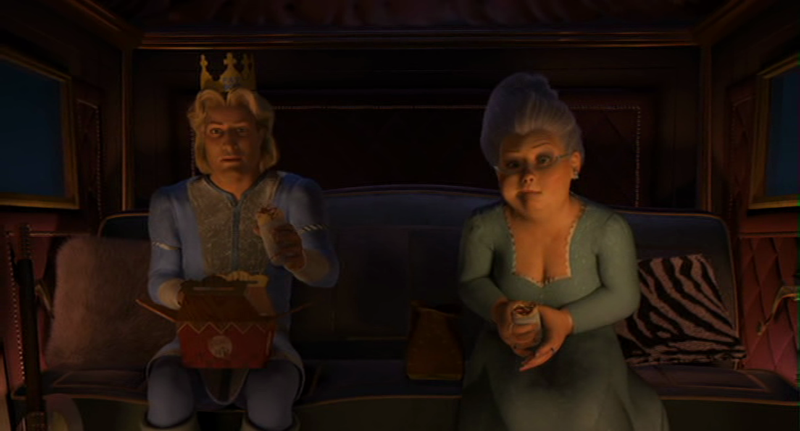 On top of everything else, Shrek 2 is really, really funny. Many of the best gags are those which are completely unexpected, such as Puss in Boots' hairball or Pinocchio's brief stint as a real boy. 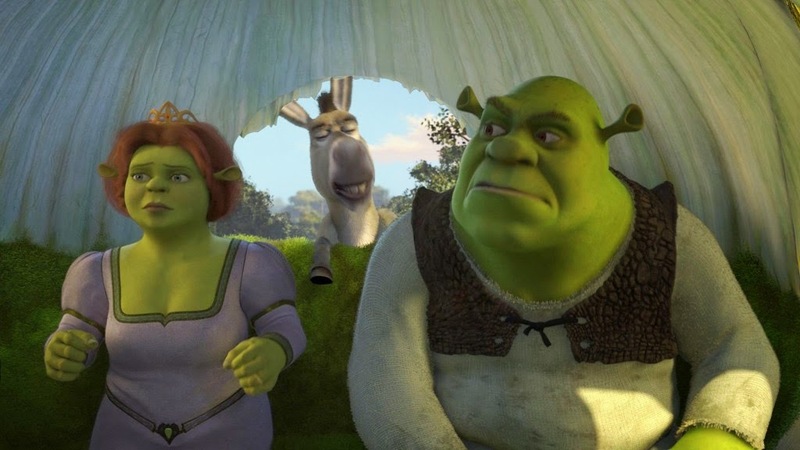 Others are the product of really good editing, such as the dinner table sequence (a nod to Rocky Horror) or the parallel conversations when Shrek first meets Fiona's parents. 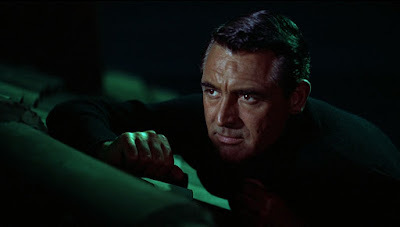 The big set-pieces are inventive and fast-paced, and the film is never afraid to take its characters down a peg or two by things not climaxing quite as we might expect. The performances in Shrek are all extremely good. 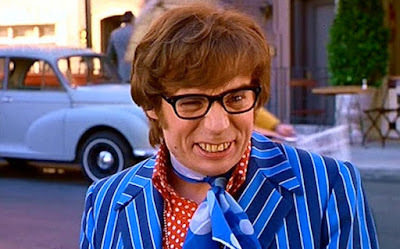 Mike Myers, Eddie Murphy and Cameron Diaz remain as convincing and enjoyable as before, with Adamson and his co-directors managing to focus the two male leads. Of the newcomers, Jennifer Saunders is very impressive and John Cleese is a very fine choice for King Harold. 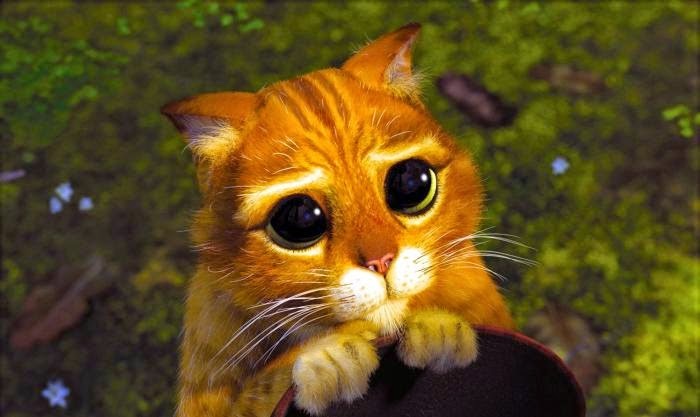 But of course, the show is stolen by Antonio Banderas, who ribs on his own work in The Mask of Zorro to make Puss in Boots truly unforgetable. Shrek 2 is every bit as good as the original, and may even be slightly funnier in terms of the quantity and quality of its jokes. Despite being more rounded than its edgy predecessor, this is still a very intelligent offering, populated by interesting ideas and a host of compelling characters. 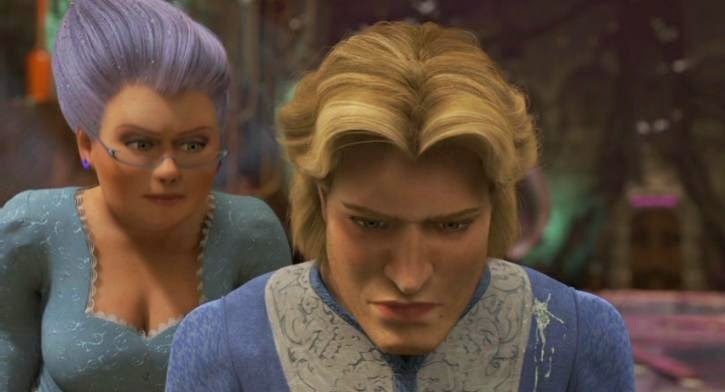 In hindsight it's a shame that the series couldn't continue to progress in such a positive way after this instalment, but Shrek 2 remains a sterling effort, both in this context and on its own terms.